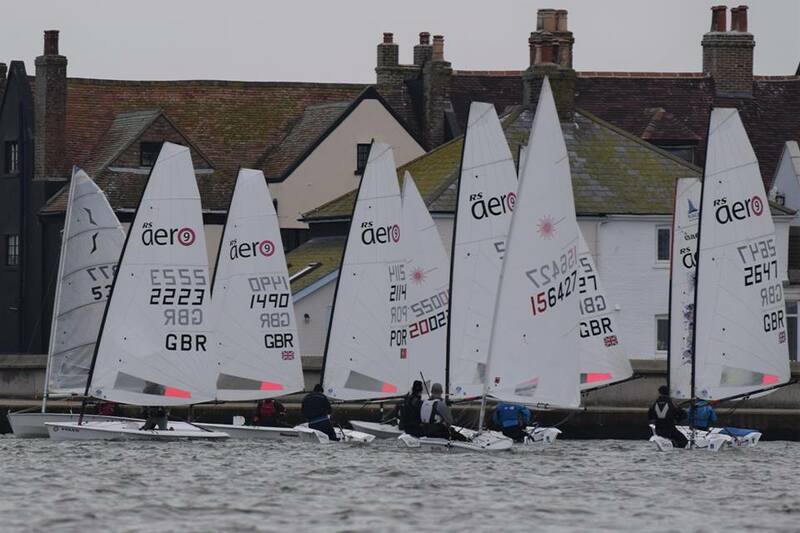 14 RS Aeros pitched up for Day 2 of the Highcliffe Icicle series on Christchurch Harbour, with 10 visitors joining 4 boats from the growing local fleet. A chilly breathless dawn came good as the skies cleared and a nice 8kn rolled in with the top of the tide. With a total of 36 boats on the mixed class start line competition for pole position was super keen, leading to the first general recall. The tide waits for no sailor and water is a precious commodity in Christchurch Harbour, so the race officer did not hesitate in hoisting his Black Flag to enforce some discipline. Two more recalls followed, driven by a combination of enthusiasm, poor judgement and a parched thirst for clear air. 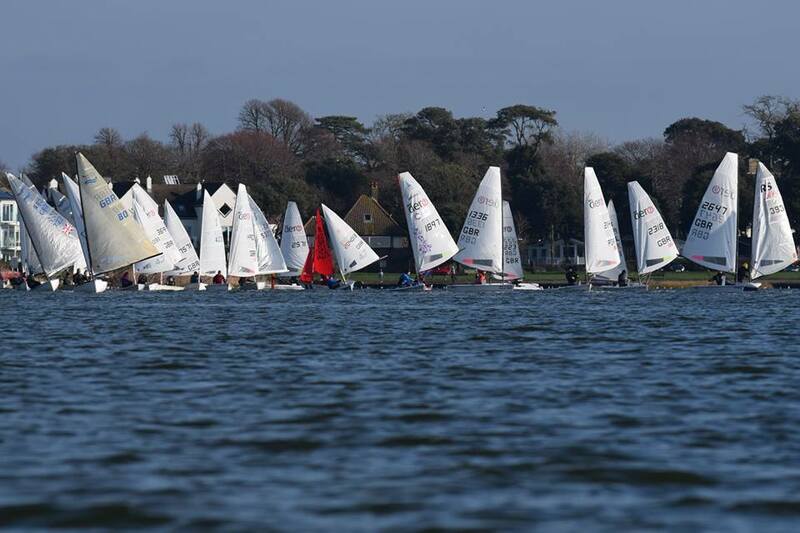 7 boats fell foul of the Black Flag and were relegated to the sin bin, sitting out the first race in the sun. This included just one RS Aero, Nev Herbert - the Maverick! Start attempt #4 got away cleanly and it was Ray New in his Finn who nailed it, showing the RS Aeros the way to the first mark. The RS Aero 9s of Nigel Rolfe, Tim Reid and Peter Barton got by and started to pull out time over the 3 lap course. 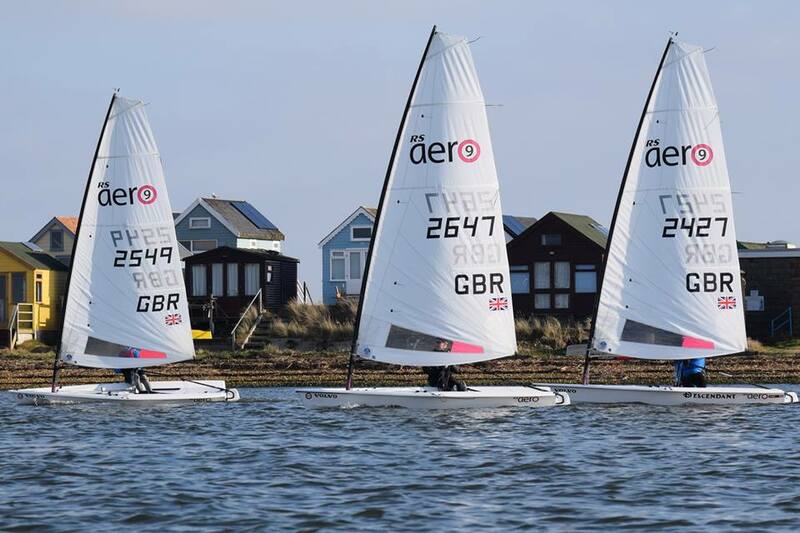 Tim enjoyed his first competitive outing on an RS Aero coming through to take the line honours on the final beat, although not quite enough to take the overall win from the Finn on corrected time. The second race started cleanly first time and the RS Aero 9s nailed the start and first leg, managing to pull ahead of the fleet enough to take the top 5 places on corrected time. Overall Nigel won the day, pipping Peter and Tim. Nevlar came good with a 3rd in the second race having had a useful time chilling during the first race eying up the form and the gains! Overall Report on Y&Y by Sarah Desjonqueres. *An interesting challenge with a very long start line relative the the first leg length, due to the limitations in the Northerly. You could lay the windward mark from both ends of the start line and it is revealing to see how the fleet converges on mark 1. As it happened starboard tack remained predominantly lifted for the first beat with the leaders coming from the right. A small left shift could have seen the starters from the port end leading! The start is at about 1:03 and only the Finn is near the line with everyone being over cautious after 7 boats had been removed. Full details and online entry to all events can be found on the RS Aero UK Events List. Enter 3 out of the 10 events on the RS Aero UK Winter Series to be entered into the draw for the 50% discount voucher on a new sail! 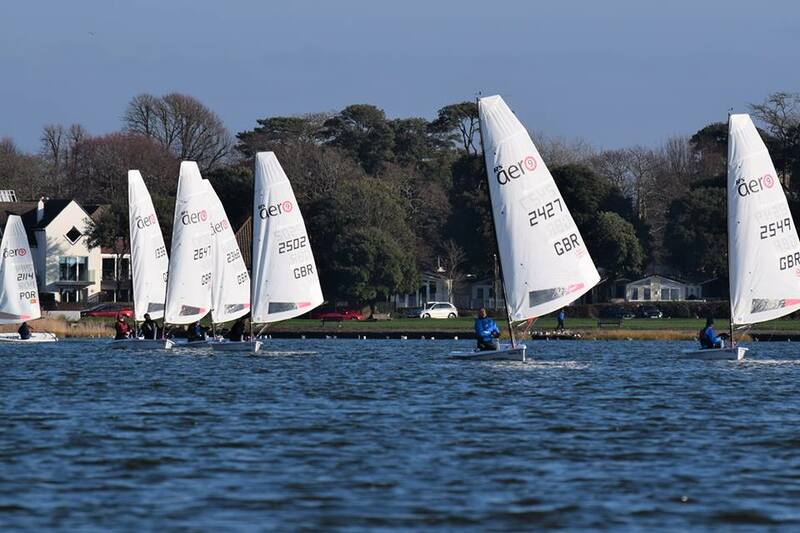 RS Aeros at Day 2 of the Highcliffe Icicle Series (combined results from series races 3 & 4 overall).